Our core management team comprises of quintessential IT professionals with global work exposure. The team commands talent backed by combined experience of over 75 years in operations management, talent management and offshore development center management, Our forte lies in delivering innovative products & solutions and driving strategic business initiatives. The mangement team has a combined experience of over 75 years in the IT Industries. Praveen Kalbavi has over 25 years of experience in the IT industry. 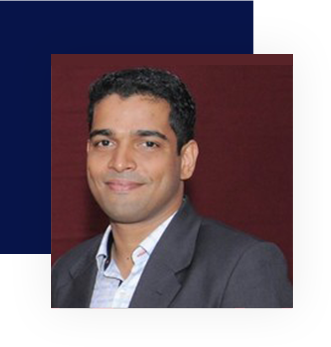 He has handled various responsibilities in IT industry, including Software development, Project/Program Management, Client engagement for global & Fortune 500 clients. Praveen is currently, the Director & Chief Executive Officer, at Novigo Solutions Pvt Ltd. He is responsible for running the company & his responsibilities include: defining & executing business strategies, building new markets and a strong workforce who can deliver. Praveen has grown the Novigo team to 200+ people within a span of 3 years. 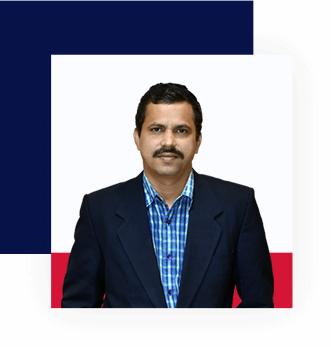 Praveen has worked with Infosys (for 19+years) as Associate Vice President & Senior Delivery Manager in Retail Business unit, before starting Novigo. He was heading the delivery for Retail Europe practice, which spread across 7 development centers across India. He was also heading delivery of one division in Retail US practice. The Primary responsibility was delivery management, including the project delivery, Delivery excellence, client relationship management, Operations management and Team management. The team size for the portfolio was around 2200 people. He also handled Grocery sub-vertical in Retail unit managing various service lines, solutions, managing large engagements & Programs. He has been working with global retail clients for the last 12+ years. Praveen has experience in managing large projects/programs for Fortune 1000 companies both at offshore & client locations including USA, Europe, Canada & Chile. Praveen was also the Head of Mangalore development Center of Infosys. The center (had around 1850 people) caters to multiple clients of Infosys across 6 large business units and as head of center, his responsibility was to manage the center, including the center growth, people management, external interfaces, client interactions, Leadership development and operations management. Praveen holds a Bachelor’s Degree in Computer Science & Technology from Bangalore University, India. He is also APICS BSCM (Basics of Supply Chain Management) certified. Mohammed Hanif has over a 15 years of experience in the IT industry. With his passion for Technology, he has architected several Enterprise solutions and has done Technical Consulting for global clients. Hanif is currently, the Chief Technology Officer(CTO), at Novigo and he is responsible for all IT Service projects at Novigo. 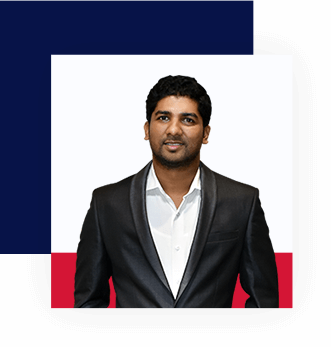 Hanif has worked with Accenture, Infosys and Collabera before he joined Novigo. He has worked with Global clients like BP, ARAMCO, Unilever, M&T Bank, Schlumberger and has deep knowledge of Oil and Gas Domain. He started his career with Accenture Services Private Limited and worked on Microsoft technologies. From Accenture, he moved to Infosys Technologies and worked mainly on SharePoint Enterprise Content Management Systems. At Infosys, he was one of the key members of SharePoint practice and served as subject matter expert for SharePoint projects. Later, Hanif served as SharePoint consutant in Collabera. He has experience of working in large projects/programs for Fortune 1000 companies. Being one of the founding members of the Novigo team, Hanif’s primary responsibility involves growing the IT service business across the globe. He passionately keep track of changes happening in the technology front and build his team to meet the growing needs of our customers. Mohammed Jarood has been in the IT industry for over a 15 years. He has handled various responsibilities in IT industry, including Software development, Team/Project handling and Technical Consulting for global clients. Jarood is currently, Chief Operating Officer (COO), at Novigo Solutions Pvt Ltd. He is responsible for engineering, delivering and selling market focussed platform solutions at Novigo. Jarood has worked with Tata Elxsi, Infosys and Collabera before he joined Novigo. He has worked with Global clients like Motorola, BP, M&T Bank and had deep knowledge of Telecom Domain. He started his career with Tata Elxsi and worked for Motorola through Tata Elxsi on Mobile technologies. From Tata Elxsi, he moved to Infosys Technologies and worked mainly on SharePoint Enterprise Content Management Systems. At Infosys, he was one of the key members of SharePoint practice. Jarood also spent considerable time in US doing the role of SharePoint Architect for Collabera. Jarood has worked predominantly on Microsoft Technologies throughout his career. He has experience of working in large projects/programs for Fortune 1000 companies. Shihab Kalandar comes with a rich experience of over a 15 years in the IT industry covering various roles of Software development & Team handling for global clients. 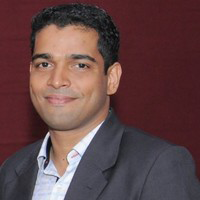 Shihab is currently, Chief Customer Officer (CCO), at Novigo Solutions Pvt Ltd. He is responsible for new lead generation, building new markets and managing client relationships. He has strong passion for meeting people and building relationships. Shihab has been instrumental in Novigo setting up operations in 5 countries in a small time span of 3 years. Shihab has worked with Accenture and TCS before he joined Novigo. He was working with Accenture telecom practice where he had worked for clients such as Nokia, Ericson, SFR France. Shihab has experience in working in large projects/programs for Fortune 1000 companies.